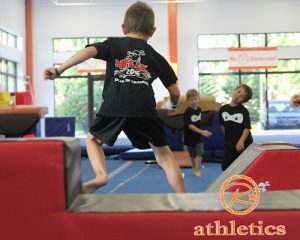 RUSH Athletics is designed for boys and girls ages 8 – 14 who want a competitive edge in athletics. 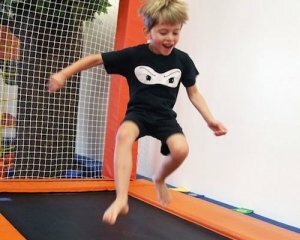 balance, coordination and most important FUN! 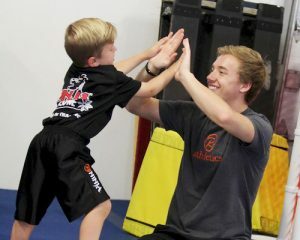 The RUSH Program is designed for all athletes to improve and excel in sports and general athletic activities. 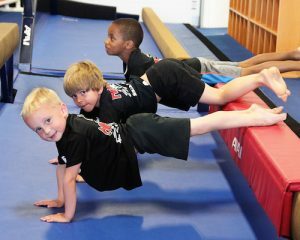 Our gymnasts have proven that they can excel in all sports because of the great conditioning program that has been developed here. 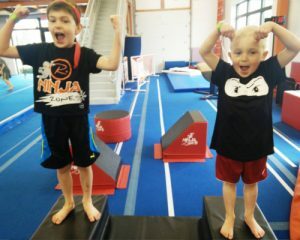 The RUSH classes offer these same proven technique to gymnasts and other athletes. We know that strong healthy bodies are less likely to suffer injury. Core strengthening with resistance training, agility, speed and vertical jump are the focus. 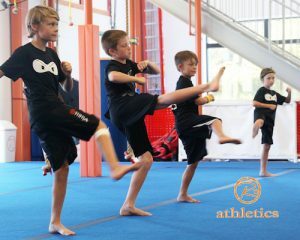 Our athletes move through drills and competitions to improve weekly in this fast-paced class. Talent + RUSH = SUCCESS! Would you like to bring in your sports team for specialized training? Attendance twice per week is strongly recommended for maximum results. 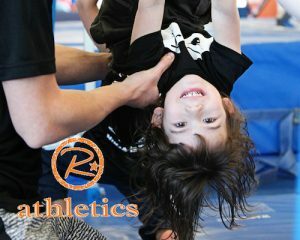 R-Athletics $40 membership is required. 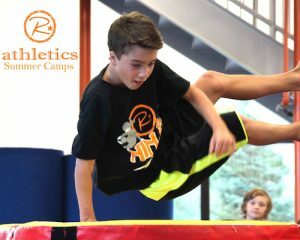 R-Athletics is proud to offer Rush Athletics – Speed and Strength Training to the Greater Grand Rapids area including; Forest Hills, Cascade, Caledonia, East Grand Rapids, Ada and the rest of West Michigan.